- Qualified Casual Conductors/Contemporary Music graduates for weekend Single Day Workshops (5 hours) as well as fill in sessional leaders. Book keeping (MYOB), Administration, Database management, Email Management, Events management, Diary management, Audio & Video. Graphic design and Marketing & Sales and working with current and future clients, social media and SEO support will be involved. Must be a good all-rounder, easy to work with, manage competing demands and be able to administrate the running of a large network of choirs with over 100 members. Experience in the music industry/business or events planning essential and willing to learn music related software and applications. You will be a certified Australian Virtual Business (AVBN) working remotely with access to internet, skype and home office or office-space. The role will be up to 20 hours per week but will need to scale up down depending on requirements. You will report to and work closely with the Melbourne Contemporary Executive Director to administrate the Melbourne Contemporary line of business units including MCCHOIR, MCGOSPEL, MCYOUTH and MCBLACK. Got what it takes to head up one of our exciting and high energy choirs that run on weekday evenings during school terms? MCCHOIR is looking for a dynamic, energetic Choir Leaders for a new Campuses in Southbank and other locations across launching across Melbourne in 2019. You will have great people skills and hold the attention of a group through well planned engaging sessions. A graduate contemporary music student with a set of musical abilities to complement the growing team of MCC leads. 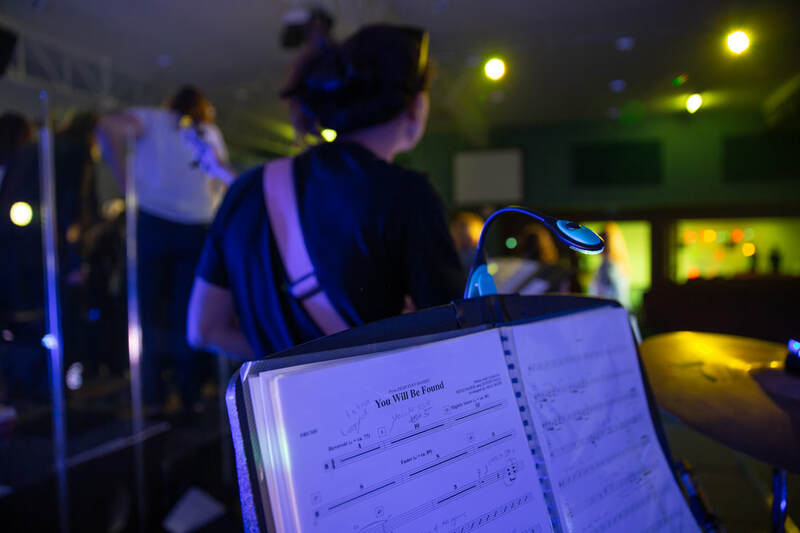 You will have experience in conducting ensembles or ability to acquire these skills quickly and have a knack for bringing out the best in your singers. You will be available to run a 2 hour session weekly during school terms following a pre-determined session plan. You will have skills in producing a healthy and uniform vocal from the group that suits the MCCHOIR contemporary style. You will lead one of our campuses and be supported with resources, demonstration tracks and the MCCREW. Weekly rehearsals will include vocal warm up, vocalises and repertoire. As a critical part of the MCCHOIR team you will be called on to fill in for sessions running throughout the week in the evenings when you are available. You will hold a current Working With Children's Check and have basic keyboard or guitar skills to assist with repertoire learning. If you or someone you know seems like a good fit contact us at voice@mcchoir.com with your resume and cover letter explaining why you are the right candidate for the job. MCCHOIR remuneration package is in keeping with the Victorian Music Teachers recommended hourly rates. Melbourne Contemporary Choir attracts a lot of high profile gigs for Commercial events and activations from entertainment companies requiring vocal performers as well as artists requiring sessional singers for their studio recordings. We often source professional singers from outside of the choir when we require additional vocalists for specific projects. We've played venues like MCG, Crown Palladium, Town Hall, Melbourne Convention and Exhibition Centre and the Melbourne Town Hall. We offer competitive call rates dependent on the project. You must be able to take direction and be able to work well with other vocalists to produce a good mix which will blend with other voices as well as experience in solo singing. If you are an accomplished singer and can sight sing and would like to be added to our call list for events please register here by filling in our Call list. Please include information about your performance history and projects that you have been involved in/artists you have worked with.